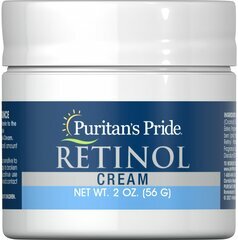 Puritan's Pride is proud to bring you our Beauty Essentials Kit. Perfect for the busy woman as a way to beautify and treat herself! Everyone needs a break sometimes, and this kit will have you feeling beautiful and refreshed. 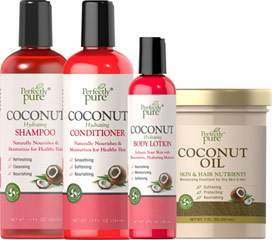 With Puritan's Pride® Coconut Oil Shampoo your hair will smell and feel like a tropical paradise. Carefully formulated with nourishing ingredients formulated with nourishing ingredients, our Coconut Oil Shampoo will leave your hair healthy, radiant and vibrant. No Parabens, No Petroleum, No Phthalates, No Artificial Color and No Animal Testing. 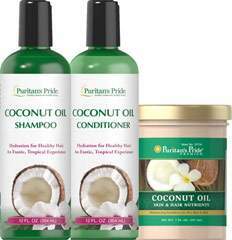 Puritan's Pride Coconut Oil Conditioner provides hydration for healthy hair and leaves your hair with a luxurious shine. Because it is enriched with coconut oil, this nourishing formula leaves your hair delicately scented with the exotic fragrance of tropical coconut. This moisture-rich conditioner is gentle on hair and helps bring out your hair's natural, healthy body and shine. 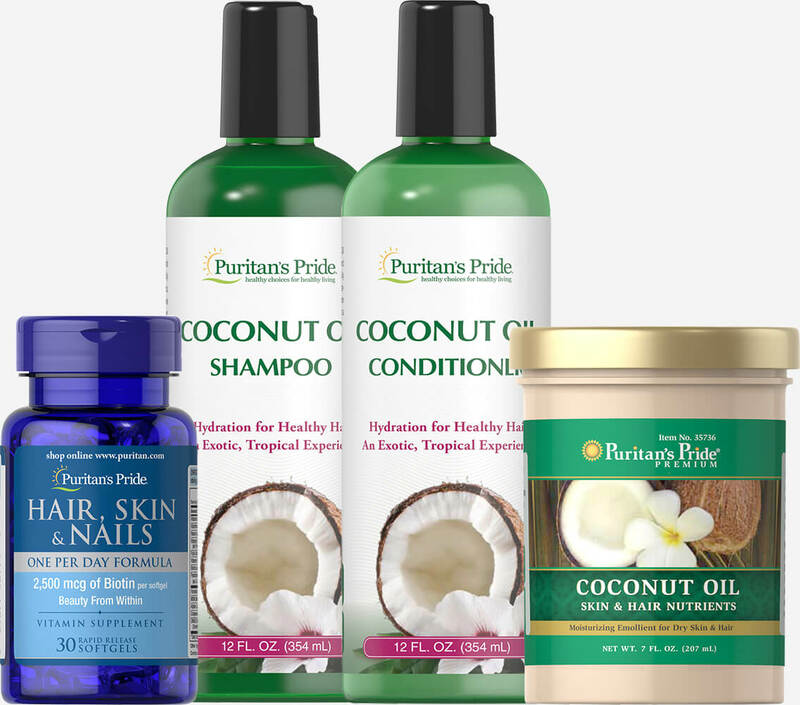 Puritan's Pride Coconut Oil Conditioner is an exotic tropical experience. Made with 100% vegetarian ingredients. No Parabens, No Petroleum, No Phthalates, No Artificial Color and No Animal Testing. 2,500mcg of Biotin per softgel. One-per-day formula for hair, skin and nails. ** Rapid release softgels. Use our Hair, Skin & Nails One Per Day Formula to strengthen and fortify. ** This vitamin supplement contains many different beneficial vitamins, including Biotin, Vitamin A, Folic Acid and MSM, providing beauty from within. ** Just one per day is all you need. Includes 30 rapid release softgels. Pamper your body with Coconut Oil! This exotic topical nutrient will help moisturize and soften dry, rough skin- and can even be used in your hair! And like the name implies, there's just one ingredient: coconut oil! No fillers or added fragrances.